What a difference a couple days make. Beginning of the week we were still locked in on the coho salmon bite with the occasional king mixed in. Fishing changed dramatically starting Thursday. Storms and constant wind changes really changed the fishing. We went from consistent limits to scraping together 5-10 fish per trip. Others started targeting lake trout while we continued the hunt for silver fish. The lake is clearly starting to set up to its normal summertime conditions which often makes fishing tough during the transition. 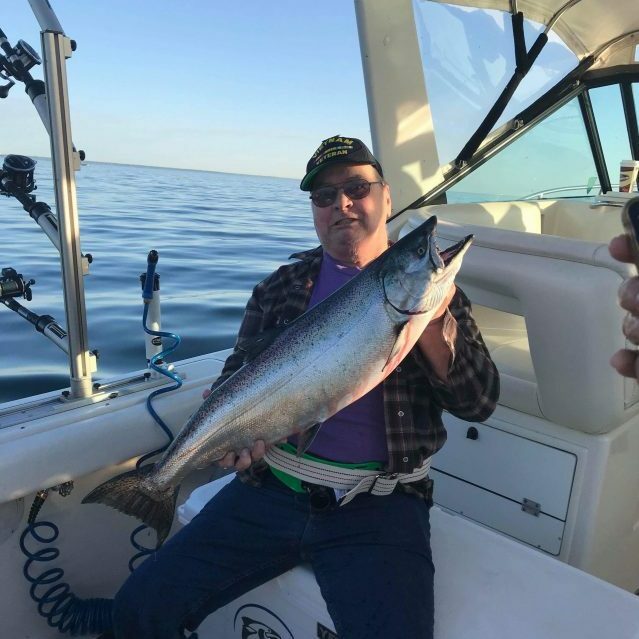 We were lucky enough to stumble across a really nice 26lb king salmon while searching for a stable bite. There are some really big salmon around and fishing for them should just get better in the next week or so. Right now, white flashers with aqua flies are taking kings. 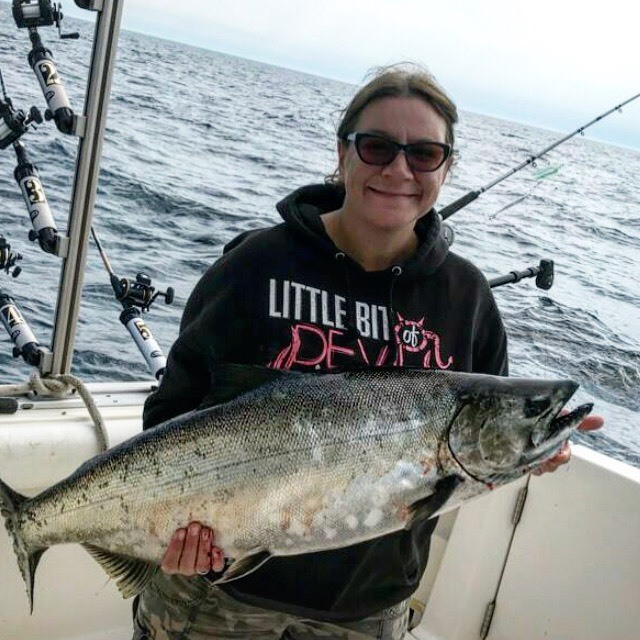 Coho rigs are catching coho and steelhead. Metal dodgers with spin n glows fished along the bottom have been producing lake trout.